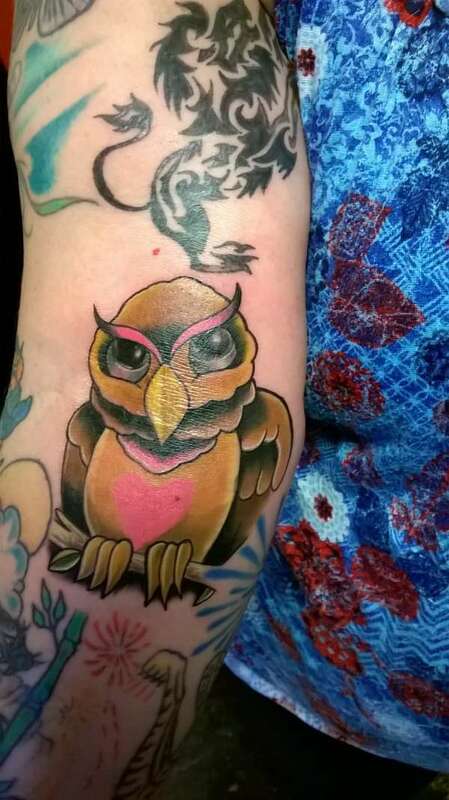 This was done by Ichi Ban at Slaughterhouse 2 Tattoo in Killeen TX, on Irene's inner forearm. She can bend her elbow and make the bird wink, which she sees as being very clever. The tattoo was drawn on by hand and given as a free gift by the artist. Thanks! !